Many people are intimidated about doing their own car repairs. Most of the fear stems from lack of understanding about how their car operates and what it really takes to make the repair. For complex repairs, you may lack the knowledge, skill or tools to make the repair on your own. However, some simple auto maintenance, such as changing your own air filter, is well within reach of nearly any car owner. First, how do you know you need a new air filter? Typically, you’ll find out when something goes, wrong when it’s listed in your car’s maintenance schedule or when the friendly oil change folks try to sell you an overpriced filter. You can usually check to see condition visually — a filter will look dirty even when fairly new, but if you look deep into the pleats, you’ll get a good sense if it is mostly surface grime or if the filter is full. A clogged filter can rob your engine of horsepower and gas mileage, so you want to replace a clogged filter as soon as you can. Never operate the car without a filter installed. Most vehicles recommend replacing the filter ever 1-2 years or 12,000-20,000 miles. Start with your car parked and turned off. Prop open the hood and locate the air filter housing. This is typically a black plastic box located to the side or behind the engine. Consult your car’s manual or internet resources for specific instructions on opening the air filter housing. typically there are series of metal clips around the two halves of the housing and sometimes a bolt that must be removed to open the housing. Once the clips and bolts are removed, slide the housing cover off and remove the old filter. Inspect the filter for condition and if needed, replace. You should also clean the air filter housing while you’re in to make sure any debris isn’t sucked into the engine where it could cause damage. With the replacement filter installed, close the housing back up and replace the clips/bolts holding the housing together. Start your car and go for a test drive. If you hear loud roar or see a check engine light, stop and check that the housing is closed tightly together. That’s all there is to it, you’ve now replaced your own car air filter and saved yourself money by doing it yourself. Do you often wake feeling tired? Does the sound of your alarm clock buzzing drive you crazy? What if there were a better way? Some people believe that your body reacts better when you wake to light– with a natural dawn simulation — easing your body into the day the way the sun does naturally. A digital wall timer is recommended, because most now offer programming customizable for 7 days– this lets you set different on/off patterns for weekdays vs. weekends, etc. Once you’ve assembled your parts, you’re ready to get going on the path to simulating natural wake up patterns with your wake up light. If you’ve opted for a full spectrum bulb (one that is closer to the sun’s own light frequencies) install the bulb in your lamp). Important note: If you plan to use a dimmer with this project, you may want to choose an incandecent bulb — newer CFL and LED bulbs are often not compatible with standard dimmer switches. Next, if you are using a dimmer switch, plug your lamp into the dimmer switch. Then plug into the wall timer. If not using a dimmer switch, plug directly into the wall timer. Then, plug in the wall timer to your outlet and program your on/off patterns using the provided instructions– each timer is different, but most allow for multiple on/off times per day and per week. Consider turning the light on before you plan to wake and leaving on for an hour or more to allow your body to adjust before you rise. If you’ve installed a dimmer switch, test the brightness you’ve selected to ensure it is to your liking. Experiment with different settings until you find the level of light that helps you rise naturally without making you cringe. There you have it, your very own wake up light – at a fraction of the cost of commercial dawn simulators. Note, one advantage of the commercial models is the ability to integrate an alarm sound and to grow the light brighter over time — if you find difficulty getting brightness to your liking, consider a commercial model. Here’s a simple project just about anyone can do in an hour or so. So you bike brakes won’t stop? Do the brake pads look worn down and uneven? Are the brackets themselves bent out of place? Rusted through? 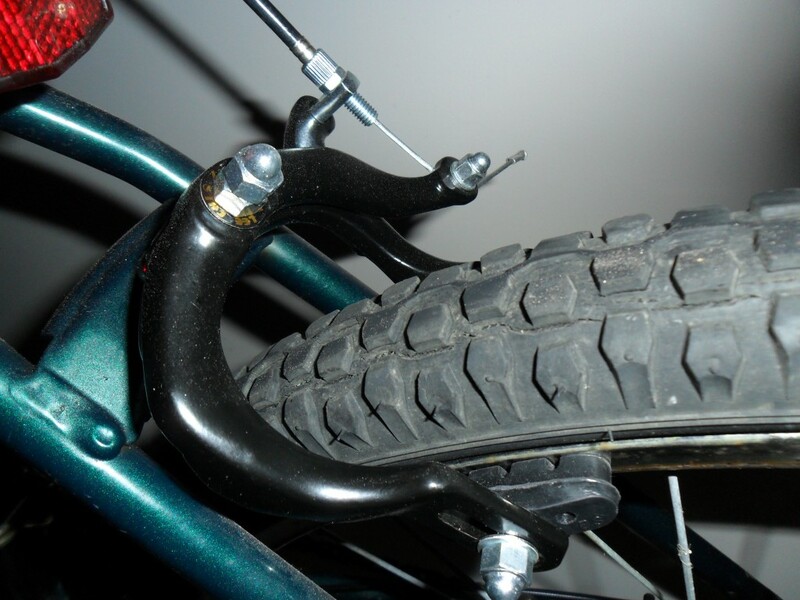 You can easily replace side-pull caliper brakes yourself and make your bike safe to ride again. Note: properly functioning brakes are important to safe operation of a bicycle. Never operate a bicycle without properly functioning brakes. If you feel uncomfortable with your own ability to safely repair your own brakes, a neighborhood bike shop can do the repair for you. If you’re interested in making the repair yourself, read on. This is also a good time to replace your brake cables, that may be fraying, rusting or no longer sliding easily. Make sure that you purchase the correct components to fit your bicycle. There are several styles of brakes including disc brakes , side-pull brakes , and V-brakes . Make sure you purchase the correct size for your type of bike. Step 1: Remove the old brakes. Start by loosening the bolt that holds the brake cable to the caliper; once removed, you should be able to fully separate the caliper releasing the brake pads from around the bicycle wheel. Next, loosen the bolt that holds the caliper assembly to the frame of the bike and remove the caliper entirely. Step 2: If you are only replacing brake pads, now is the time to swap your new pads onto the calipers and re-install. Step 3: If you are are fully replacing your calipers, install the new calipers paying close attention to the fit of the brake pads. You will likely need to adjust the placement of the brake pads to match your bicycle wheel. It’s also a good idea to clean your bike wheel to remove any dirt or grease that might cause problems for proper braking. Step 4: Once the caliper is reattached, tighten the bolt and thread the brake cable through its place on the caliper. If the cable shows any signs of fraying, it should be replaced. Step 5: Adjust properly. To properly adjust the brake cable tension, start with the brake lever fully released and the thumb screw adjustment at its lowest setting. Gently hold the brakes close to the wheel and tighten the screw holding the cable to the caliper. Step 6: Test the brake operations by squeezing the brake lever. The brake should squeeze firmly, but release to allow free movement when the brakes are not applied. Use the thumb screw adjustment to find the right adjustment. Take time to adjust until the brakes operated properly. If you are unsure, consult a bike shop before operating your bicycle. Step 7: Repeat the same steps to replace your second brake caliper. Once you’re satisfied that the repair has been made properly, enjoy your handiwork with a relaxing safe ride. So what exactly can you do with the $35 Raspberry Pi? Well it turns out you can do lots of things! We’ll have more posts to follow, but the Raspberry Pi mini-computer is a low-power ARM-based microcomputer that can run alot of cool stuff through a linux distribution, including today’s project — an AirPrint Print Server. So you have an Ipad, an Iphone, etc… and you noticed that ‘share’ option that says print — awesome right? Print right from my phone? One catch, you don’t have an AirPrint compatibile printer and you like your current printer… no need to go out and buy an AirPrint printer.. Just turn you Raspberry Pi into an AirPrint Print server to relay your print jobs from Apple Ipad or iPhone to your existing printer. Huge shout-out to Rohan for his original tutorial (http://rohankapoor.com/2012/06/configuring-the-raspberry-pi-as-an-airprint-server/) and tjfontaigne (https://github.com/tjfontaine/airprint-generate) for the python script that makes it possible for noobs. Since that tutorial was made, the process of turning your Raspberry Pi into a AirPrint printer go between has become even easier. The latest versions of CUPS has added mDNS support that makes the process more streamlined. 7) Add your printer using the CUPS web interface at the ip address of your Pi on port 631 – e.g. http://192.168.1.102:631 – Be sure to enable the option to share the printer you are adding. 8) Now that the Pi is configured to utilize your printer, it’s time to make it accessible as an Airprint server so your iOS devices will be able to print to your printer. Create a new directory /opt/airprint/; change to this directory (‘cd /opt/airprint/’) and download the script– ‘sudo wget -O airprint-generate.py –no-check-certificate https://raw.github.com/tjfontaine/airprint-generate/master/airprint-generate.py’ –then run the script: ‘sudo python airprint-generate.py’ — This should have created a new file with the name of your printer some random characters and ending ‘.service’ – If this file was generated correctly you should be all set. 9) On your iOS device, go to share on any page you want to print and select ‘print’ then select printer, your device should detect an airprint printer on your raspberry pi. Your Raspberry Pi will relay the print job directly form your iPhone as an AirPrint printer. Line-Following Mini Tank with Analog Circuits! Today’s project comes from Chris over at pyroelectro.com – They’ve got a ton of awesome projects you can check out, but today’s highlight is a new take on a classic line following robot. a great design and great write-up, you can check out at http://www.pyroelectro.com/projects/mini_tank and make your very own robot, and make it follow lines all over your house! I like the breadboard set up and the analog circuits, so you don’t even need a microcontoller. Amazing stuff! Now if we could get a light solar panel to recharge/replace the lipo battery, it could crawl lines each day for hours all on its own…. RF Coaxial: The cable in your ‘cable tv’ – this was long the standard to bring antenna signals and cable signals into your home and to wire between them once in your home. Most VCRs and DVD players with external RF modulators may use RF coaxial cable to connect to a TV, usually tuned to channel 3 or 4 depending on region. Composite: typically a yellow-coded cable with RCA connectors, often matched with a pair of white- and red-coded audio cables. This is found on nearly all VHS players and most dvd players. It is also often included with other non-HD video sources and a basic standard. Component: Sometimes confused with composite, component video cables use similar RCA connectors and are typically a set of three cables, one for each color channel, or a set of 5 two of which will be standard audio cables. These connectors are better still as each color channel is now contained in its own cable. These cables are also capable of transmitting the higher resolution of HD, so they are a lower-end connector for HD systems. DVI: DVI cables were briefly included as a standard on many computers and lcd monitors before being replaced by HDMI cables soon after. Depending on the sources and targets these cables may be used with both analog (DVI-A) and digital devices (DVI-D). for example, some monitors may received analog inputs to their DVI connections through a VGA to DVI adapter, while later devices may receive digital inputs through their DVI connections via an HDMI to DVI adapter. HDMI: The modern HD standard, this small connector features fully digital connections betwen source and target and is best suited for High-definition applications and is most likely to be included on your blu-ray player or upscaling DVD player as well as almost all modern LCD or LED HDTVs. After considering the available options that you can use to connect your components, consider the lengths of cables and costs. RF coaxial cable is probably the cheapest and will perform well over relatively long runs, but it is also the lowest quality picture… Composite cables may yield decent results in short runs of 3 to 6 ft, but will drastically suffer in runs 12ft-25ft or longer unless an extremely high quality 75 ohm cable with shielding is used. S-video may perform better but again, in longer runs, the quality will drop off dramatically. Component cables are likely included on your HD-ready source so this may be a good option, but consider HDMI for longer runs, where it’s available on source and target. How to make a Workbench with the Kreg Jig! IF you want a nice workbench, you can make one yourself with just a few boards and some basic tools, inlcuding the Kreg Pocket Hole Jig System . 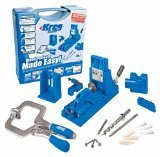 Kreg has put together a great video series and here is episode one of how to make a workbench with the kreg jig. It’s a simple plan you can do in an afternoon or adapt to your own project. The video will give you ideas on how to use your kreg jig to build other tables and furniture. Are you interested in how to grow tomatoes? Want to start from seeds and grow tomatoes? You can! With a little patience you can grow your very own tomato plants from seeds and be enjoying your very own tomatoes very soon! Add your seeds about 1/2 inch into the soil. Add a few per pot, in case some don’t sprout. Place in a sunny window or on porch, in garden, etc. Seed sprout best around 70 degrees. Keep the soil moist. in the hot summer this may take watering several times per day. Your mileage may vary. In a few days. you will see the seeds start to sprout. You may continue to water and wait for them to grow larger or transplant them now into your garden. As the plants grow, be sure to add a tomato cage to help support the weight of your very own tomatoes! Do you have an old lamp sitting around the attic or basement that could be cleaned up and used? Is the problem that the electrics looks crazy old and need replacement? If you have an old lamp you want to rewire, you can easily rewire your lamp at home. Do it yourself and save money while saving the old lamp from the dump! Be safe; know what you’re doing. Always consult a professional electrician for any questions. Always unplug any electric appliance before servicing. Feed the free end of your new cord up through the base of your lamp and our through where the old socket attached. Separate the two ends and remove a small length of the insulation from each of the two wires. Twist the wire inside tightly. Attach the socket to the lamp, usually screws on to base. Final inspection. Ensure all connections are properly attached and insulated, no gashes have been made to cord in the process and all is tightly attached. Put a bulb in and try out your new re-wired lamp!